The Medieval Mile Museum – Duggan Brothers Ltd. 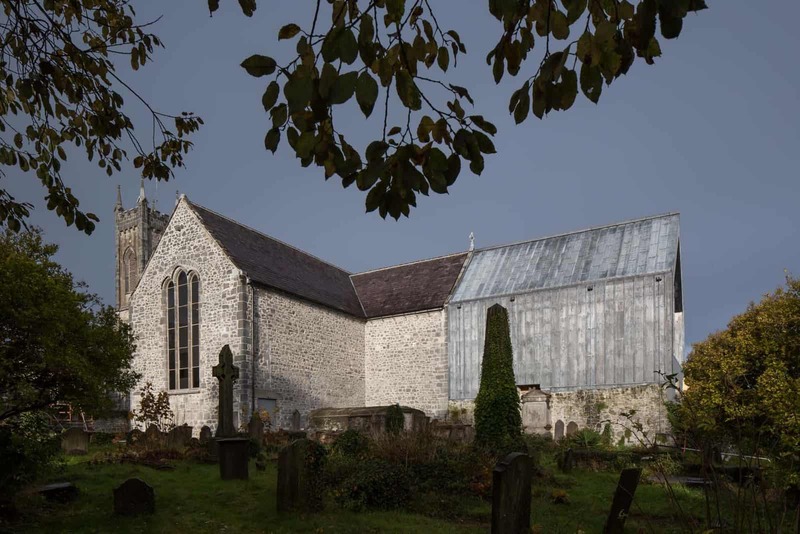 The new Medieval Mile Museum, formerly St Mary’s Church, High Street, Kilkenny multiple award winner, was founded in the thirteenth century as the parish church of the City. 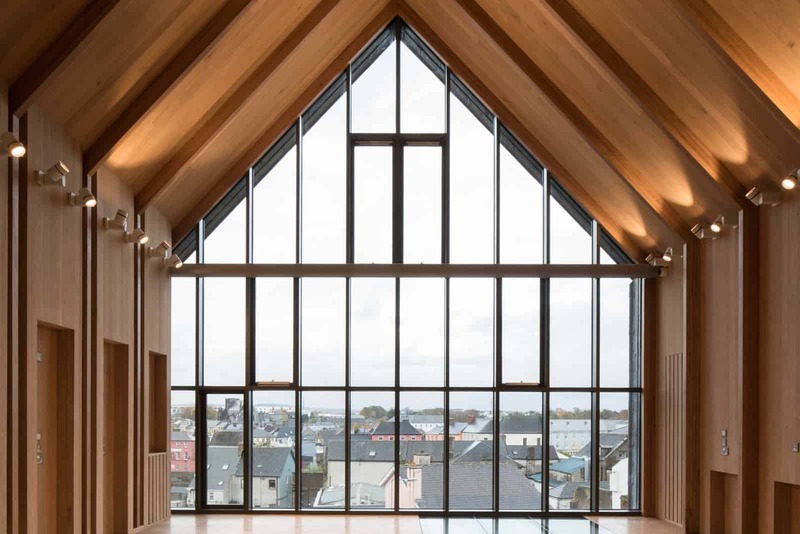 The project combined sensitive restoration and contemporary design to an exemplary standard. The medieval building required some extension for the display of artefacts in a controlled environment; the project became an experiment in the use of archaeology to help define an architectural solution. The chancel had been reduced in size; the nave had aisles; archaeology revealed the presence of extant foundations under the earth. New elements were replaced on these, amplifying the spatial complexity of the structure and developing a sequence of internal views. The new elements are made of timber and lead- lead’s soft malleability a foil to Irish grey stone and sky. 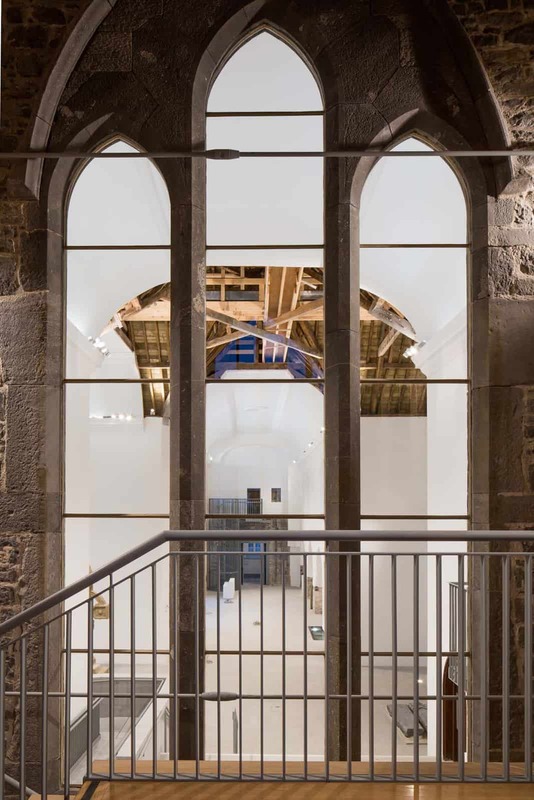 The project worked with the nature of the building, providing a new stone floor, repairing materials, leaving exposed a large section of the original timber roof which acts as a focus in the plan. 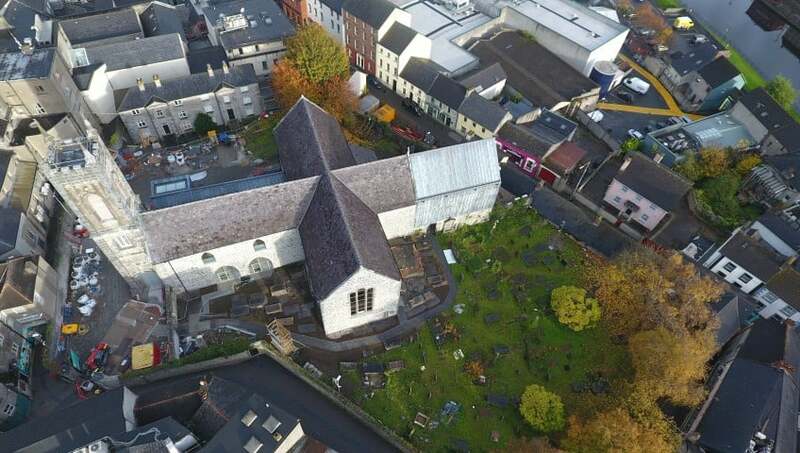 The project aimed to complete the restoration, extension and conservation of St Marys Hall, Kilkenny as part of the larger “St Marys Precinct” project. The project was to become the centre-piece of Ireland's Medieval Mile, a concentration of medieval sites and buildings in the core of Kilkenny City and add significantly to the cultural, historical and social amenity of the City. This work also included - removal of concrete pointing externally and re-pointing in lime mortar, limited stone cleaning, repair (and replacement where necessary) of rain water goods, removal of slates and re-laying of new battons with selected replacement slates to match where necessary, structural repairs where required to tower, walls, roof, removal of glazing to existing windows to chancel and transepts, repair of opes and glazing and re-installation, timber treatment as required, stabilisation of ceiling and cornice, careful removal of gypsum plaster to internal walls and patching with lime mortar, painting and treatment of internal stone features. concrete floor). This allowed full flexibility of servicing whilst maintaining an protecting the fabric of the building.